In support of the Brisbane Water Summit on Friday 4th November, a number of special guests have joined the water Mission team to share their experiences and insights from Dutch and other international experiences in water and and floodrisk management. In addition to their role to share knowledge that will stimulate the discussion, they are also here to work alongside existing Dutch partners to build future collaboration opportunities. Henk Ovink has a role of a thematic ambassador, where he explores how water as a connecting issue can be part of an integrated approach considering aspects of water shortages, water safety, water quality, logistics and transport. Based on Dutch knowledge and experience in the water sector he is involved in building relationships and developing opportunities to invest and innovate, in the Netherlands and internationally. Last year Henk did address a group of Queensland colleagues through a video link and in this conversation on the right you can hear of his interest to share Dutch experiences through collaborative opportunities in Australia. Previously Henk was a senior adviser to the US government with the Hurricane Sandy Rebuilding Task Force and for the reconstruction of the New York and New Jersey region, he developed and led the “Rebuild by Design” contest. Henk also has experiences in land use planning having been the Deputy Director-General of Spatial Planning and Water Affairs at the Ministry of Infrastructure and the Environment. Currently, Henk assists the Dutch Prime Minister on the UN High Level Panel on Water, a group of 11 national leaders including the Australian Prime Minster. 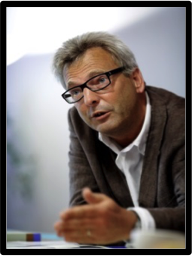 Arnoud has been Chief Resilience Officer at the City of Rotterdam since October 2014. Together with partners and stakeholders, Arnoud works on a Resilience Strategy for the city of Rotterdam, focussing on Climate Change, Cyber, Vital Infrastructure, Environmental issues and Social/Economical challenges. He has worked in various roles at the City of Rotterdam over the last 20 years and while deputy head of the Rotterdam Water Management Department, he was responsible for Rotterdam’s urban water management and the Waterplan2Rotterdam. 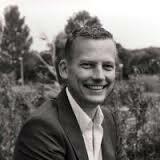 He was also managed the ambitious Rotterdam Climate Proof program, where he initiated the international Connecting Delta Cities network, became regional coordinator within the Dutch research program Knowledge for Climate, and was responsible for the design and implementation of the Rotterdam Adaptation Strategy. Jelte Bosma represents the Dutch Water Authorities, which comprises of the 22 regional water authorities in the Netherlands and their association. Jelte has been based at Lelystad working with the Zuiderzeeland Regional Water Authority for the last 11 years. The Zuiderzeeland Regional Water Authority protects Flevoland, a province in The Netherlands, from flooding and drought, and ensures proper waste water treatment. It works in close cooperation with other regional authorities, like the provinces and the municipalities, and the national government. NGO’s and other stakeholders are also involved in the process. From 2006 – 2015 Jelte was manager of the policy department. Nowadays he is responsible for implementing the “Connection with society” program for his organisation, as well as providing strategic water management advice to his board and senior management including the long-term organisational 2045 vision. 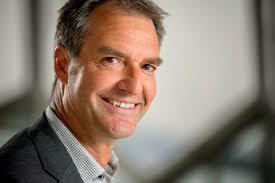 Previously he has worked with Dutch national agencies with transport and water management responsibilities. He was involved in the design and implementation of the Room for the River Programme, the Delta Programme and the (funding of the) national Flood Protection Programme. His specific interests lie in watergovernance issues. Steven is a landscape architect specialized in water related issues. He is an international known expert in the field of delta planning, development and design. In the Netherlands he led the Design studio for the Dutch South Western Delta over the last 4 years and participated in the National Delta Atelier. In the US and Vietnam Steven was key-advisor in projects as Building America’s Water City, a comprehensive, integrated & sustainable water management strategy for greater New Orleans (2010-2013) and the Climate Adaptation Strategy for Ho Chi Minh City (2012-2014). Steven is a regular participant in the so-called Dutch Dialogues; high pressure workshops in which Dutch experts work together with local experts, connecting Dutch experience and local knowledge. He participated in Dutch Dialogues in New Orleans, Los Angeles, Miami and Saint Louis. Steven is constantly searching for solutions that both work and add value; solutions that improve safety and guarantee the availability of fresh water, but at the same time makes the area much more attractive to live, to stay, to work and add ecological resilience.